As the trait of high sensitivity becomes better known, naturally there are many people talking about it on the Internet, often with websites and YouTube dedicated to your sensitivity or your child’s. Many people and entire institutes now offer services, courses, or books, often with new ways of thinking about or working with high sensitivity. To avoid any question of infringement or to help them look different, they also may create a new name for the trait but still use a description or questionnaire that is basically the HSP Self-test in new guise. We seem to be in a new, expansion phase with this trait, which is quite good news, really. We are now visible. But it comes with some risks to the public. I agree with much of what I see and hear about, but frankly, some of it makes me a little worried or even angry. However, just as I refused to trademark “highly sensitive” because I wanted the idea to belong to everyone, especially researchers, I have not wanted to “police” those who now use it. One good reason that I don’t is that there could be things out there that I don’t like very much, yet are very helpful to some of you. Nor can I know enough about all these people and websites to approve or disapprove in an informed way. I know only of a few well, and of those, the ones that I do happen to know and both like and trust, I do let you know about on this website. But it is hardly a complete list. Above all, I do not post a “beware” or “not approved” list, even though, truthfully, from the beginning there have been cases in which I wanted to. Instead my policy has been to follow the advice of a trusted friend, who early on said, “Let the market decide. People will start to follow some directions and began to avoid others quite naturally without your having to be involved.” I like this approach, but I realize that this policy leaves HSPs free to get involved with people, ideas, or treatments that are not ideal for them. Especially with social media and the Internet, those with social media savvy, good technical skills, or polished writing can present misinformation in a way that looks impressive, yet is not based on any solid research on sensory processing sensitivity, the research term for high sensitivity, or the related concepts of differential susceptibility (Jay Belsky, Michael Pluess) or reactivity in children (Thomas Boyce and collaborators, who also speak of “orchid children,” but not “indigo children”). Of course, HSPs sharing personal experiences and wisdom can be very nurturing, but more care must be taken when money is being made. The market place. So, I worry about this. Is there anything I can do at all to help? Perhaps I can make you a more informed consumer! Let’s begin with credentials. Credentials are no guarantee, of course, but someone who is trying to look qualified when they are not is a sure red flag. If someone wants to offer you help, what kind of help are they qualified to give? Please look closely and ask questions. Counseling or psychotherapy should only be offered by those who are licensed in their state, province, or country. Counseling can be a gray area in some places, so it may be okay to practice without a license. In that case you can at least ask where the person received their graduate degree in counseling. If they did not study through an accredited program that seems to be generally recognized as solid, they lack credentials. Counseling is oriented a bit more to the present issues, including vocational, marital, or temperament counseling (not every counselor can do all of these–find out his or her specialty). Psychotherapy is intended to go deeply into problems or symptoms that have been with you for a while, and probably have their roots in your childhood. The approach may be present oriented, such as cognitive behavior therapy, but it is applied to deep obstacles, including depression or anxiety. These are sometimes best treated with a combination of therapy and medication. Those who are prepared to do psychotherapy are clinical psychologists, who will have a doctorate degree, plus licensed clinical social workers, licensed marriage and family therapists, and some licensed professional counselors. They will have a graduate degree, usually a master’s degree, and all of the above will have received further training in an internship, usually thousands of hours. Watch for that license. Some psychiatrists (that is MDs specializing in the treatment of mental illness) also offer psychotherapy. But since their main training is in knowing the right medications to prescribe, some are actually not very well trained in psychotherapy. Some are. The point is, be well-informed. Ask questions of anyone you plan to see, about what they will do, how they were trained to do it, and if they are licensed. There are several types of psychotherapy, each quite different, although some therapists use all the methods according to the needs of the client. I wrote about these in the Highly Sensitive Person, but there are a few new ones. If a therapist mentions one of these, you can search it up on the internet. Especially be sure to ask how, and if, they might work with the particular concerns you are bringing to therapy. Equally important, you want to choose someone who is a good match and well recommended by people you trust, preferably those who have actually been their clients (some call them patients). This person will have a major effect on your life if you stay with him or her for a while. I’ve written about choosing a therapist in an appendix to The Undervalued Self, which was posted on Huffington Post. There are also more and more coaches offering to help HSPs. Coaches receive much less training than those who are licensed to do psychotherapy, but that is all right as long as they at least limit their practice to what they know. They are trying to do something different. They are trying to help you to formulate personal or professional goals that are the right ones for you and to develop the behaviors that will allow you to reach your goals. It’s best if the coach you choose is a certified by a well recognized organization (you can find out more about a coach’s certification through the internet). Be very careful. Unlike licensed professions, coaching is not government regulated anywhere, as far as I know. Perhaps in Europe. I found one website where you could become a coach and be certified for $69. The online life coach course would supposedly provide all the knowledge you will need for the profession, as well a certificate to display on your website and letterhead and in your office. In short, after the online course you can call yourself a certified life coach. Hmmm. Maybe ask for some references from satisfied clients at least. If you discover that you are not making progress through being coached, or even in therapy, it is important to discuss this with the person you are working with. Even with great coaches, sometimes a client is not making progress. Usually this is because there are deeper or unconscious obstacles (actually, defenses) that are preventing you. Do not try to work on those with coaches, as that is not what they are trained for and you will be wasting your money trying to change behaviors that cannot be changed or at least not in this way. Most coaches are very aware of the difference between psychotherapy and coaching and are happy to refer you to a good therapist. Allow them to. Whether coach or therapist, you hope that your professional will be aware of what it means to be highly sensitive. If they are not, it’s up to you to inform them. If they doubt you are interested in something valid and don’t wish to be informed, move on. If they do want more knowledge, you can try to explain, but also ask them to read Psychotherapy and the Highly Sensitive Person (Routledge, 2012) or watch the DVD for professionals, A Live Seminar On Psychotherapy and The Highly Sensitive Person. If they do that, encourage them to add themselves to the list of therapists and coaches who are “HSP knowledgeable” on this website. Indeed, this list could be a good place for you to begin your search if there is someone in your area. But there are, of course, some good coaches and therapists who are HSP knowledgeable and do not happen to be on this list. On the other hand, even people on the list may not be good coaches and therapists in other ways. I do not know most of them so I cannot vouch for them in that sense ways. People who wish to help other people are almost always empathic, kind, and have good social skills. You may like them right away. But you still have to look under the hood to know if they are really good at what they do, and good for you, with the issues you are facing. Another new trend is that more people are offering their insights about high sensitivity on commercial websites (those with ads), in books, or in magazines. (Free advice is another matter, usually more easily taken or left because the person is not trying hard to persuade you.) It’s important to consider whether their claims are backed by research, and if there’s no research on this point yet, do their ideas fit with what is already known? Above all, when the ideas stray from what you have heard from me, most of which is based on research or a great deal of experience, I would then ask myself, “What do they stand to gain by making these points?” Do they want to sell a book by making it sound different from what is already out there? Do they need to say something for the publication they write for that sounds very sensational? Do they want to treat you for something or sell you something for your health? Is this just a good way for them to pull in new customers for their service or produce? If being an HSP drew them to help other HSPs, how much training have they acquired before setting out to sell their services? And looking closer, can you see if they just have some vested interest that is more personal, in that they want or need the world to agree with them on this point of view? In particular, be careful when people suggest that high sensitivity is a disorder or related to disorders such as autism, Asperger’s syndrome, or Sensory Integration Disorder. Certainly a person who is highly sensitive could have some behaviors that look like these disorders or even also have such a disorder. They might even be mislabeled as highly sensitive when something else is the real issue. But people with any disorder or any other condition, such as Down syndrome, still will have temperament traits, such as being or not being highly sensitive. 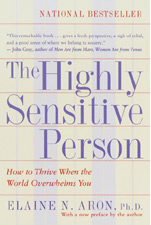 But a highly sensitive person should evidence all four characteristics: depth of processing, being easily overstimulated, emotionality that includes a high level of empathy, and being sensitive to subtle stimuli. In particular there are several disorders in which being easily overstimulated is common. But without the other three, it is by definition and by research not the innate trait we are talking about. 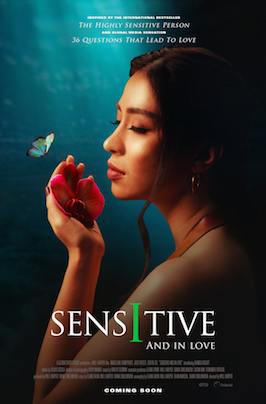 Those who claim high sensitivity is not something you are born with but arises in certain environments are talking about something else, whatever they call it. (Although Thomas Boyce and Bruce Ellis have a theory on how the trait arises that is still being tested and still holds that it is partially innate and decided in the first few days after birth.) Solid research by respected individuals, published in “peer reviewed” scientific journals, are difficult to read, but I will try to keep you informed as it unfolds. Bottom Line: Because high sensitivity is a new and growing field, of interest to many, quite a few wish to expand their professional practice as helpers, writers, or workshop leaders. Because many people who want to work in these professions are highly sensitive themselves, it is understandable that people are rushing to fill an opening that has appeared in their professions and on the Internet. Again, that’s potentially wonderful. But this marketplace is not regulated. So I want you to be informed when you go shopping, or when you encounter someone who thinks you ought to be. As a high functioning autistic person Elaine writing that autism and HSP have nothing in common caught my eye. Autism is a disorder and HSP is a trait, she writes. But many people consider autism as a neurological variety and a cognitive style, not a disorder. Or a neuropsychiatric condition. Many autistic people, especially high functioning ones, can subscribe to these criteria. Maybe autism and HSP often coexist in the same person. Anyways, as an autistic person I find HSP very helpful when trying to figure out my personality and traits. 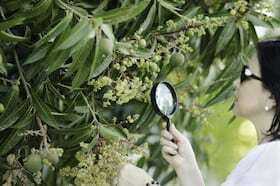 Borrowing the insights of HSP sheds new light on seeing autism as a positive trait and condition even thought HSP and autism are different phenomena. I still don’t know what I am, but I am something for sure ! Autism… according to on line tests, I am just on the limit. But without money or a serious reason to convince the General Practitioner to get you examined, you just do with what you are…. Thank you for writing this. I agree with most of what you have written. I regard my Autistic/Aspergers qualities as gifts & not as a disorder or syndrome. I wonder whether Sensory Processing Sensitivity & HFA/Aspergers overlap? I know people who clearly either have High Sensitivity, or have Autistic personality traits; & people who, like myself, have both. Psychiatric clinical nurse specialists and psychiatric/mental health nurse practitioners are also licensed to provide psychotherapy. They are prepared at the masters or doctoral level (MSN, DNP, Ph.D.) and licensed for advanced practice nursing at the state level. Dr. Aron, I completed a clinical psychology program (after careers in engineering and ad copywriting) in order to deal with my hugely- painful susceptibility to hurts of any kind.- but only found the reason when I attended your lecture at Wainwright House in Rye, NY, many years ago. I have never vanquished that problem, though I’ve read all your writings and several others’ works. A very stubborn Black Hole in me. However, I devour your periodic e-newsletters, attempt to love/accept myself, and allay my fears via daily meditation and careful human contact.. I salute your leadership in lighting a path for us HSP’s. This message is so awesome and exactly what I needed to hear. I recently realized that I am not weird – or crazy – and I didn’t understand why I always felt scared of new people and new places, until I became familiar with them of course! I’d have these little talks with myself, trying to convince me that those people did not mean me any harm. But I could never be comfortable around people. I likened myself to the jungle boy in the movie, being exposed to civilized society for the first time – but for me, it was pretty much all the time! I am (annoyingly) highly sensitive in all aspects, but thanks to Dr. Aron I’m learning how to deal with the world a little better. My daughter thanks Dr. Aron also, because she can better accept some of the encounters – I put her through. For instance, spending time in a crowded mall, or even at her school basketball games! Thank you, Elaine. This is very helpful. A helpful and much-needed clarification. Thanks! I would like to add that how hs persons deal with stimuli and being social is a positive solution for autistic persons to deal with stimuli and being social. The hsp community helps set a positive standard for autistic people – this calls for gratitude! I have a strong intuition, The ole’ gut feeling if you will. If it seems off or to good to be true, I know to check it out more closely or ignore it completely. One comment about coaches — there are professional bodies that the coaching profession as a whole have set up to start the self-policing that makes any profession stronger and makes for more integrity. One of these is the International Coach Federation (based in the US but with growing international reach); another is the European Mentoring and Coaching Council (based in the UK but also with growing reach, particularly in Europe). Those are two I’m directly familiar with, and any coach certified through them (as I am through the ICF) will adhere to their code of ethics. There are others (the IAC, International Association of Coaching is one I’ve come across) that I am less familiar with, but there are places to go to research a coach’s background, FYI. Glad this trait is gaining visibility! I thought this article might be helpful. It explains the difference between therapy and coaching very well: http://bit.ly/1Kl9igm Thank you for everything you do, Elaine. I am SO looking forward to the documentary. I have a BS in electrical engineering and have been a hardware and software engineer for over 30 years. So, I’m not particularly intimidated by technical complexity. However, since Mac computers have been available, I find that I am much more productive using them than using Windows computers. This has been true for my entire career even though I’ve been forced to use Windows more often than Macs. Luckily I have Mac computers at home. After taking the tests provided here and other places, I recently discovered that I am definitely a highly sensitive person. This probably explains why I prefer to keep a clean desktop, both physical and virtual, and why I like Macs. There’s just less stimulation. It may also explain why others like Windows. They like the stimulation. I don’t think my work efficiency should be compromised because I’m in a minority. I believe I should be able to use Macs at work. Is there anybody else out there who has a similar issue? You’re definitely right. My little sister don’t undestand why I want to use so much money on a Mac, and why I only got one folder on the desktop – called desktop, whereas she, a IT journalist and singer in a rockband, got her desktop compleatly filled. I’m a studiosound-engineer, and happily the more intuitive and aesthetic Mac has always been industrystandard in the soundworld. I’m so glad I came across your site. in glad you offer the resources that you have and I can see your compassion in your words. I’m learning a lot but lost in an area and that is we have the cluster B personality disorders that we know to be highly sensitive, ruling out BPD, sounds a lot like how histrionic personality disorder (HPD) and sounds very much like traits of an Empath, it psychic empath, etc I’m wondering if the term of (HSP) is connected with either or both etc I have thrown you a bunch to look at, I know there may not be a definitive as all share may share some traits but can you elaborate? I found very interesting and human that you want to avoid to label people under the name of a new disease. In fact I – just because I perhaps have more conscientious mind – don’t want to be made a part of a target in the market of pills and treatments. Since I was 29 I had to recognise myself as a person with divergence in the sensitivity and it took me 10 years to become aware of my own potential. For example, what it is now common sense at least in my country to avoid to go by car to crowded beaches in the warmest day, I used to do much earlier than the trend. I am still suffering the increased volume of noise in the town. Builders abx workers are using more and more powerful noisy machines and the town is more and more crowded at every hour. I find it hard to live well and find the right mood and focus expecially if you are keen on classical music. I think noise affects the mood, our internal organs and the concentration for achieving fine results. I think all these things are connected. crowds and other types of pollution? Thank you for this post. I plan to become a licensed psychologist. The insight you provide here will be a good guide on my journey. I’ve mostly suffered for 51 years due to this trait. A therapist suggested I might be sensitive, and that it was a good thing. That of course lead me to look into it more, and eventually I found your work. It has been such a profound revelation. These last few months have been life-changing. I’ve kept journals for over 40 years, and so many of the questions I had have been answered!! It will be an honor to help others who are newly discovering themselves as hsp. I look forward to becoming a professional you would approve of. I want to thank all of you, my HSP friends and family for being here for me and commenting on things I can and things I cannot understand yet. This is all so interesting where as most things in life are dull. People are dull and school was dull. If I have to read a lot to understand a topic that interests me, I usually give up because I can’t stand reading. Im a good reader but I usually get too bored to continue. So as I sat alone and wrote a Christmas card to my aunt, the other day, I put in all the feelings and all the things I love about her and want to thank her for that have happened over the years up until I was about 35. That was 20 years ago. I cried the whole way thru as I wrote as if it were yesterday these things happened. Then I write one to my cousin. I told her how much I love her and all my other cousins and how important she and they have been in my life etc. I cried thru that too. I cried for hours that night. This happens to me quite often on different subjects and in different ways. I just want to thank you all for sharing yourselves with me and with others who need you. I suppose I’ll seek counseling when I feel like I can make it to a doctor. You see, I’ve become rather agraphibic the past couple of years which is not good. But it kinda fits so I’m OK with it. Its better to know I am probably an HSP, rather than to think I’m just different than everybody else. That was rather creepy to wonder what it could be that I was.